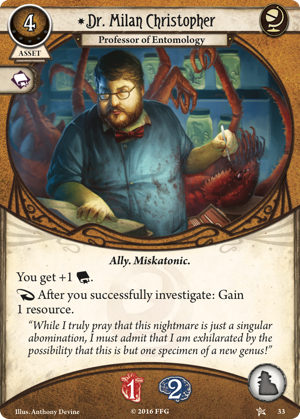 Fantasy Flight Games is proud to announce the upcoming release of The Essex County Express, the second Mythos Pack in The Dunwich Legacy cycle for Arkham Horror: The Card Game! 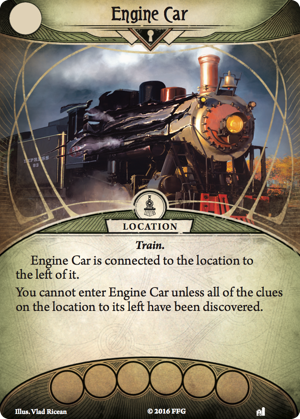 When the train rumbles, shakes, and lurches to a halt, you and your fellow investigators must race from your car to the engine. If you can't get the train moving in a hurry, you and all the other passengers may fall prey to whatever unnatural things seem to be crawling, shifting, and oozing their way from car to car, growing ever larger as they do so. 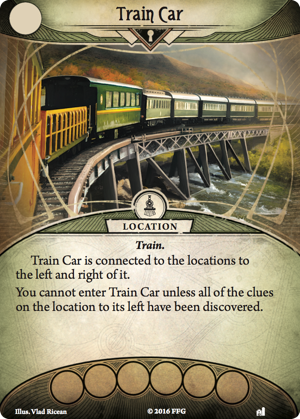 Nothing in the world of the Arkham LCG® is ever as simple as it seems—not even a train ride. In The Essex County Express, the linear progression you might expect to follow through a train may lead you, instead, through any of a vast number of permutations. At the beginning of the scenario, you'll randomly select one of three different versions of the Engine Car to put into play facedown. Then, you'll create a line of six random Train Cars , all of which you select randomly, and place to the left of the Engine Car. You and your fellow investigators must then work your way from the leftmost Train Car to the Engine Car, but there's no telling what you'll find along your path. 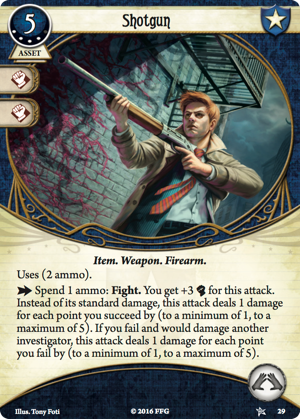 As a game that blends the traditional customizable card gaming and roleplaying experiences, Arkham LCG® goes to extraordinary lengths to place you into your investigator's shoes and allow you to see the in-game world through your investigator's eyes. By creating a measure of suspense every time you open the door to the next Train Car, the scenario from The Essex County Express serves as yet another example, and you can expect that you'll gain a thorough appreciation of your investigator's sense of dread and anxiety in the face of uncertainty. While the scenario from The Essex County Express offers you new terrors to confront, its player cards offer new ways for you to learn from your adventures—and even to make sure you get started on the right foot. 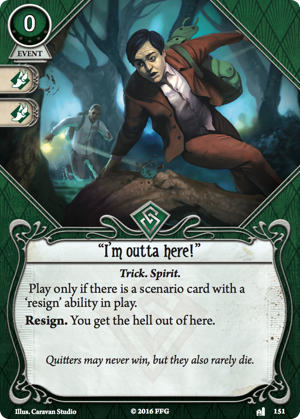 As a cooperative card game of mystery, suspense, and horror, Arkham LCG not only grounds your adventures within a series of different locations, but allows you and your friends to decide—like so many characters in different horror stories throughout the ages—to decide whether you'll stay together or split up to cover more ground. Horrible as it may be, you will likely have to split your group at times in order to meet your objectives. But if you can afford to stay together, it's almost always safest, especially when you might gain the experience to upgrade your deck with one or two copies of Stand Together (The Essex County Express, 148). The opportunity to level up your deck will, itself, also lead to some tough choices once you get your hands on The Essex County Express. 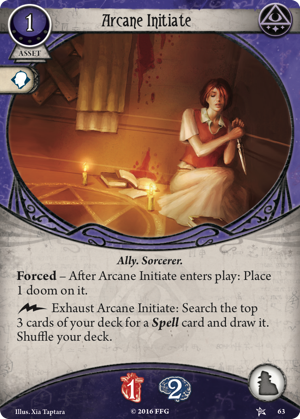 Will you spend your experience to gain access to powerful cards like Stand Together, Shotgun(Core Set, 29), and Hot Streak (Core Set, 57), or will you use that experience, instead, to increase your ability to do more with the cards already in your deck? 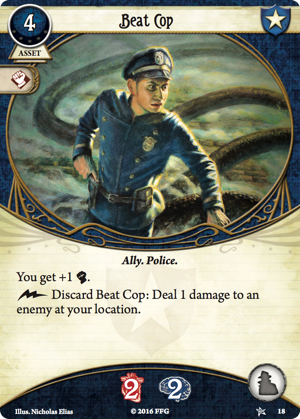 In Arkham LCG, you are limited in the number of upgrades that you can utilize by the slots you have to hold them, but three different player cards from The Essex County Express give you access to additional slots, two of which are neutral. 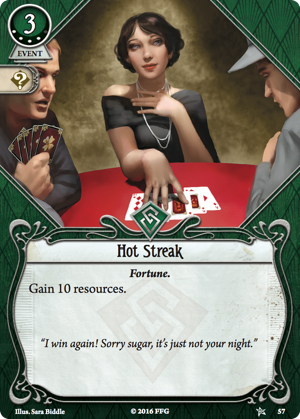 Like Charisma (The Essex County Express, 158), these cards don't just allow you to circumvent the standard slot limitations; they allow you to search for combinations among the upgrades of their type. What can two allies do for you? 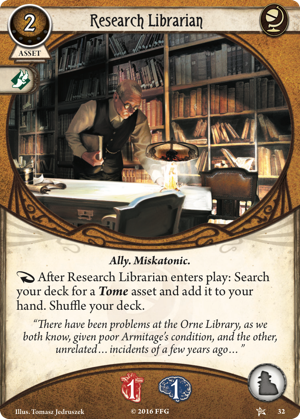 You could, for example, play two Beat Cops (Core Set, 18) to gain two combat, or you could recruit Dr. Milan Christopher (Core Set, 33) to your cause and retain his services, even while you work with an assortment of different, passing Research Librarians (Core Set, 32) and Arcane Initiates (Core Set, 63). 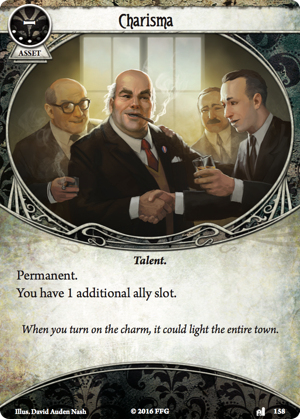 In fact, you could even convince as many as three different allies to follow you on your adventures if you were to invest in two copies of Charisma. Finally, there are times that no measure of experience, no measure of Charisma, and no measure of teamwork will save you from the unfathomable beings you might encounter. At these times, an experienced investigator might just say, "I'm outta here!" (The Essex County Express, 151). 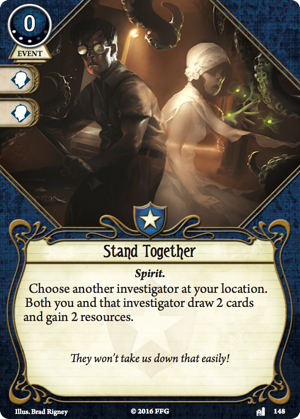 Maybe you won't discover every clue, but if you begin your campaign with this card in your deck—or spend an experience point to add it in later—the Trick may just help you keep all the other experience you've gained—and avoiding the mental or physical trauma that you would suffer if you were defeated. You get on the Essex County Express to follow the next lead in your investigations, but when you get on a train, you can only go where it takes you… And this one's taking you straight into the maw of madness!